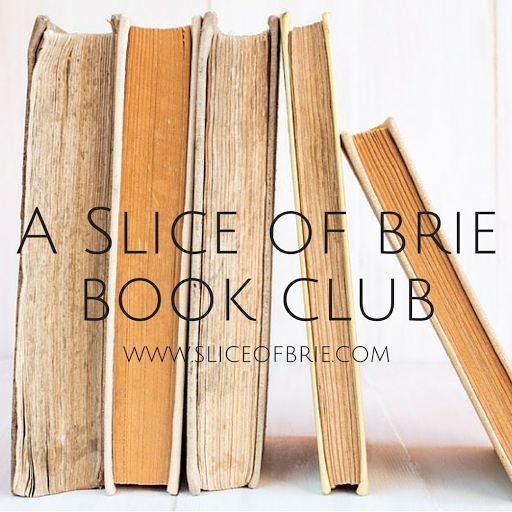 A Slice of Brie: Candy and the Cankersaur & A Giveaway! Candy and the Cankersaur & A Giveaway! I rarely (okay, never) accept books for review anymore, but when Jason Sandberg contacted me and asked if I would be interested in reviewing his children's book, Candy and the Cankersaur, I had a change of heart! I love children's story books, and have been slowly collecting them for the past few years, well before I became a mom. Any opportunity to share the love of children's stories is one I will usually take! And lucky for five of you - there's a giveaway at the end for 5 copies of this e-book (readable on any electronic device!). 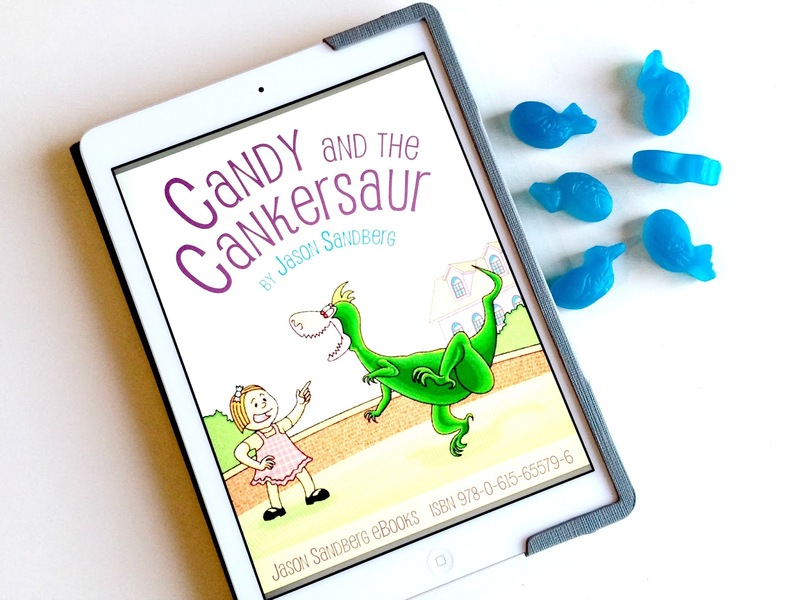 Candy and the Cankersaur is an e-book, and if you know me well, you know I have mixed feelings on e-books. I am a huge lover of physical books - I want to hold and feel a book in my hands while I'm reading it, I want to turn it's pages, heck, I probably will even smell it at some point (true story). I do not own an e-reader and I'm not sure I would ever invest in one. That being said, I can appreciate that e-readers are encouraging and allowing people to read books who might otherwise not. And how can I be against that? I can also appreciate that e-readers (and e-books) are practical for many settings, and with the influx of electronic devices at the palm of pretty much everyone's hand, it's easy to always have a book with you, which is something I always make sure I have. At the end of the day, there are worse things children could be doing than reading books on a tablet, amiright? With that, I present to you, Candy and the Cankersaur, a fun story about a rich, young girl who's father gives her a dinosaur for a gift. Candy wastes no time upon the arrival of her Cankersaurus Rex, whom Candy aptly names "Cank", and sets out to train him, starting with, "no biting!". Then one day, Cank disappears and Candy is in tears. Where could he have disappeared to? Did he run away, or did someone steal him? Will Candy ever see Cank again?! Full of colourful illustrations, not too many words on each page (key in my opinion at keeping attention at bay! ), and importantly, a good moral, Candy and the Cankersaur is a story that both young boys and girls will enjoy. And for the mama's and papa's out there - you're sure to feel some nostalgia while reading this book as the author pays homage to Syd Hoff, author of Danny and the Dinosaur. Overall, a story the whole family will enjoy and one I'll be sure to read with Sully when he's a little bit older! I have five copies, courtesy of the author to giveaway to my readers! All you have to do is enter via the rafflecopter below. Winners will be contacted via email in one week. For more information about the author and his books, you can visit his website. As well, Candy and the Cankersaur can be purchased on amazon, iTunes, Nook and Kobo. I was gifted a copy of the book for review purposes in exchange for an honest review. All opinions are my own. Any Nancy Tillman book is my favorite!!! I also just bought a cute one - you are my I love you! Soo cute! Now I want blue whales!! Yum. The Velveteen Rabbit was always one of my favourites to read to my kids. I could only think of ONE story i loved growing up, i seem to have blanked on the rest haha. But i have the best memories of Mom reading Just Us Women to me and i still love the book to this day. Sounds like a cute book! I am always on the look out for more great books!! !